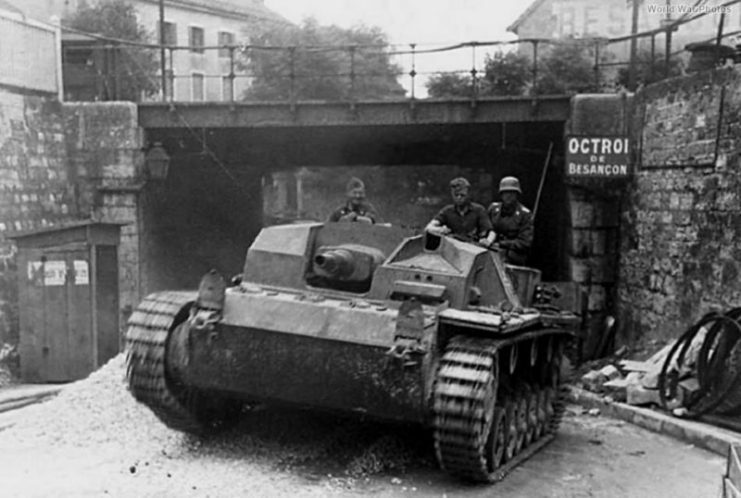 The Wehrmacht from the first day of World War II used the Panzerkampfwagen III (or Pz.III) tank. 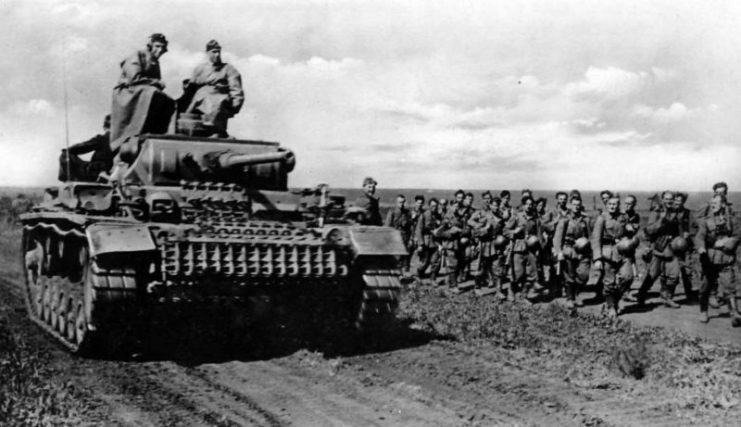 It was used as part of Wehrmacht divisions until the middle of 1944, and single tanks fought until Germany’s surrender. 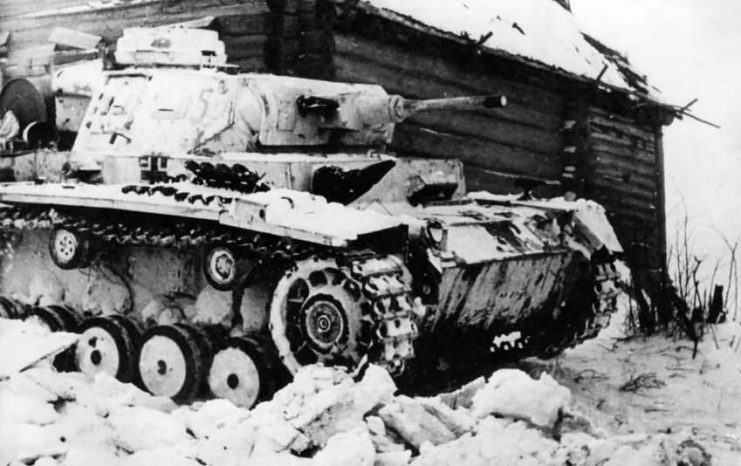 Despite its shortcomings, the Pz. 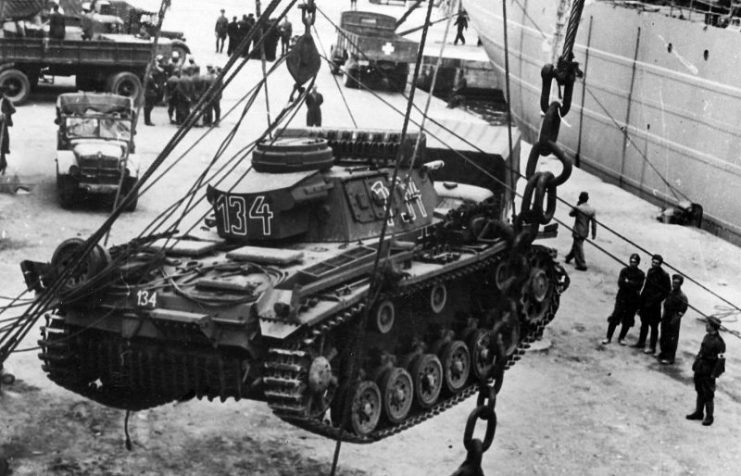 III made a significant contribution to the success of the German army. 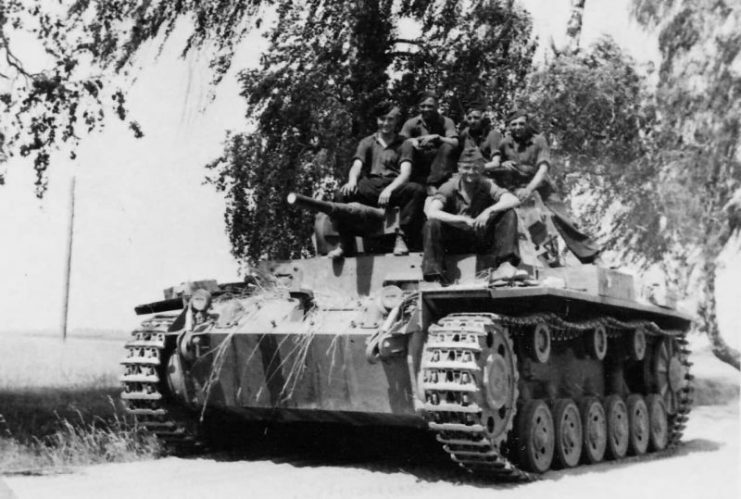 Four companies created designs in response: MAN, Krupp, Daimler-Benz and Rheinmetall. 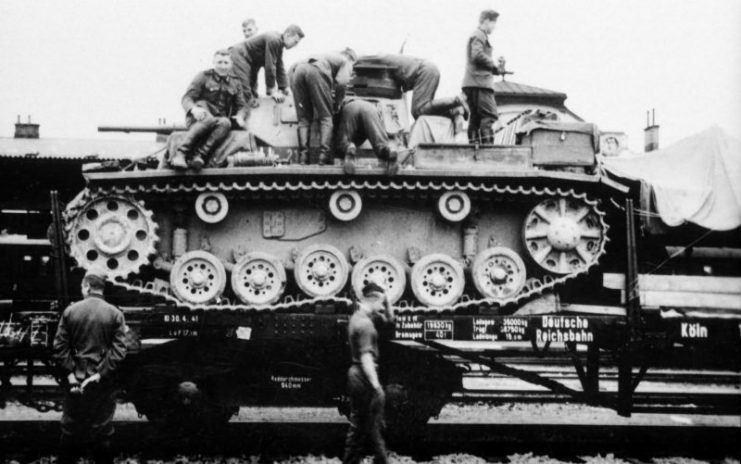 After testing was completed, the Daimler-Benz chassis assembly was chosen in August 1935. 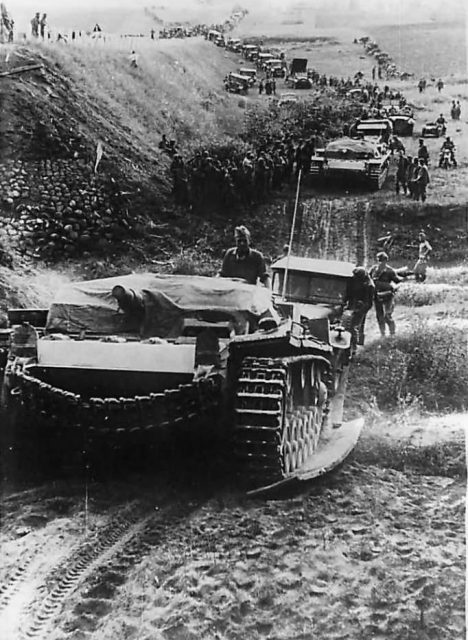 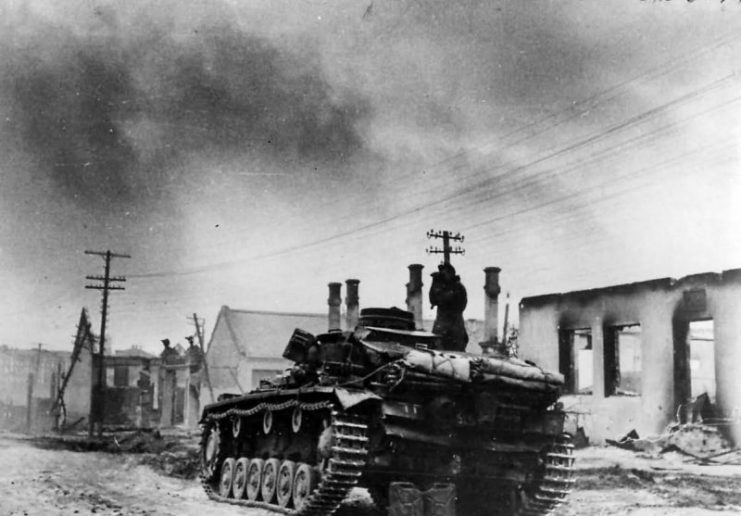 А-Е – tanks with 37-mm cannons. 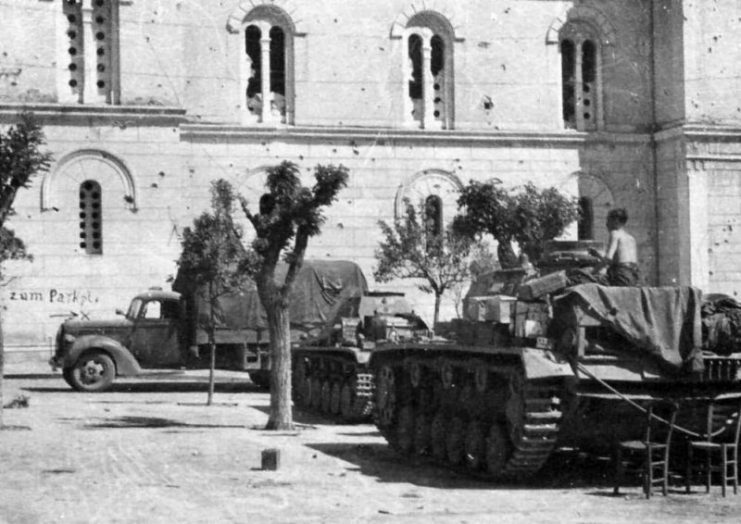 F-N – tanks with 50-mm cannons. 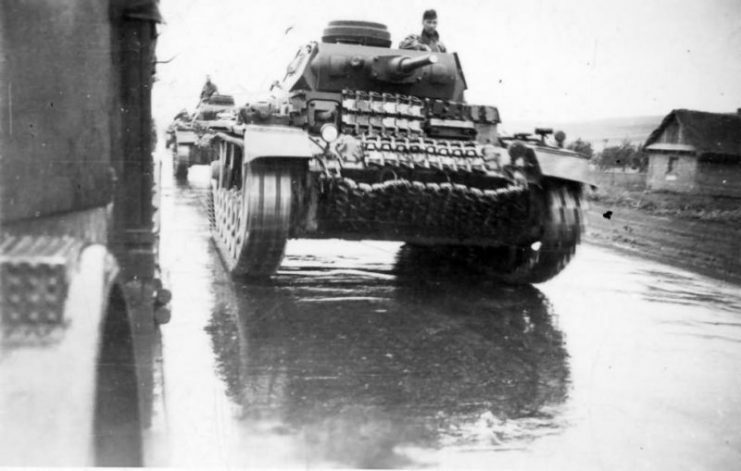 M-O – assault tanks with a 75-mm howitzer. 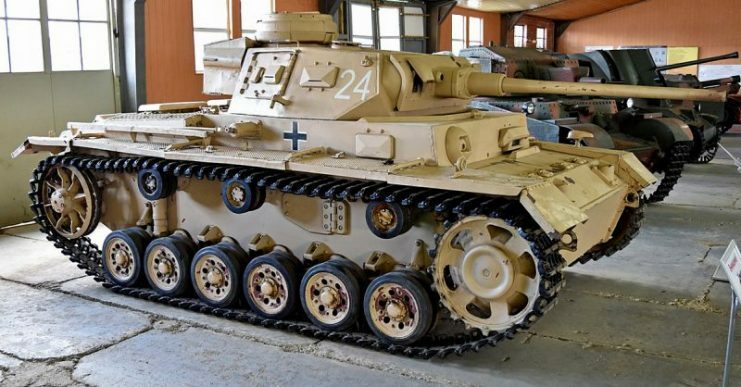 Pz.III modifications A-D were equipped with a Maybach HL 108TR engine with a capacity of 250 horsepower, and modifications E-N had a Maybach HL 120TRM engine with 300 horsepower. 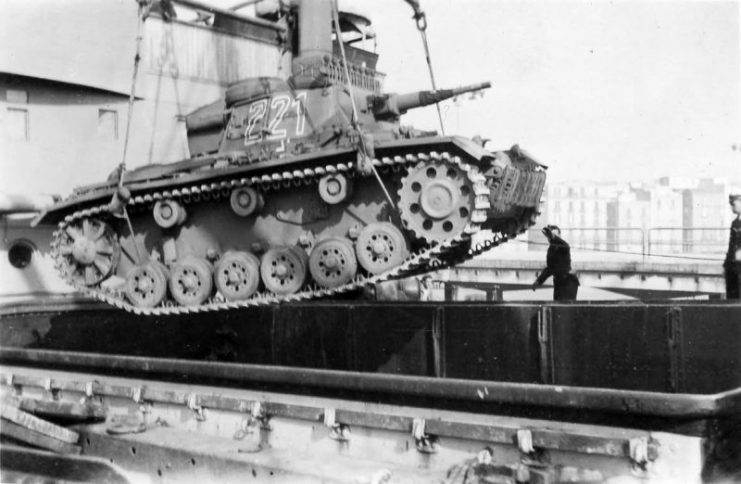 The first engine allowed a tank weighing from 15.4 to 16 tons to reach speeds of up to 21.7 mph on a flat road, while the second engine accelerated the slightly heavier E-N series to a speed of nearly 25 mph or more, depending on the modification. 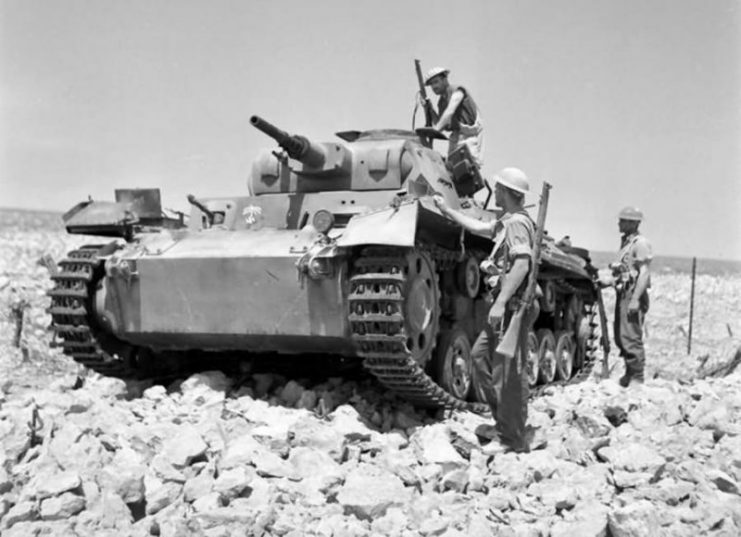 The power reserve remained unchanged and the tanks’ range was about 96-102 miles. 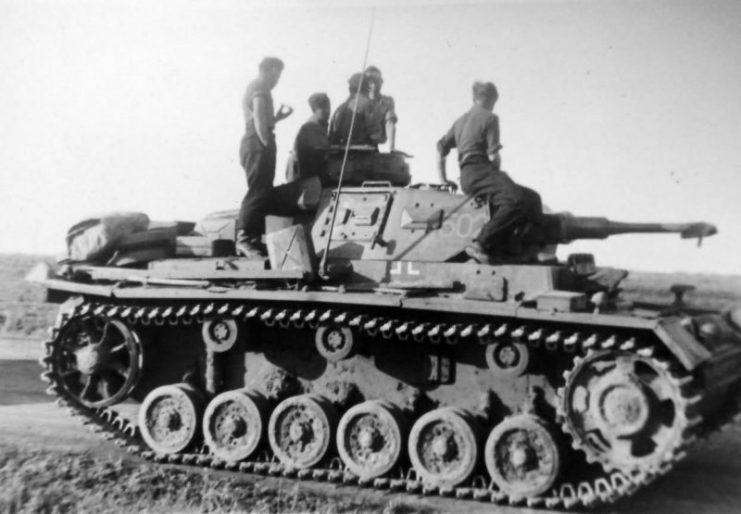 The main armament of the Pz.III in modifications A-G was the 3.7 cm Rheinmetall-Borsig KwK L/45 cannon. 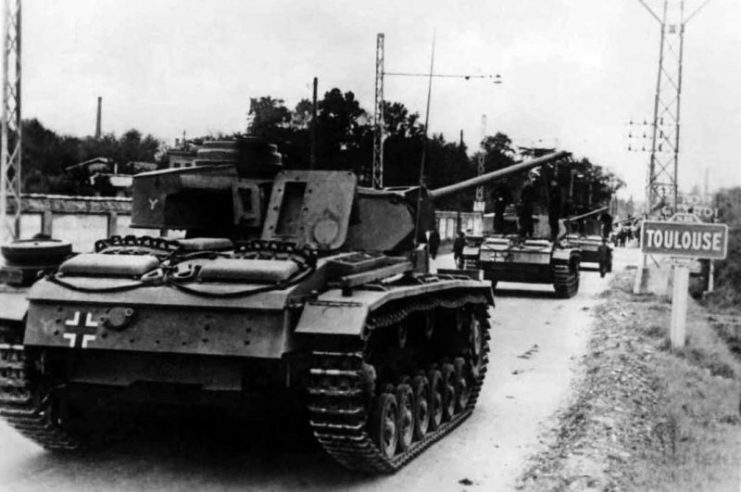 Versions G-J were armed with a 5 cm KwK38 L/42 gun, J-M modifications were armed with a 5 cm KwK39 L/60 gun, and modification N was armed with a 7.5 cm KwK 37 gun. 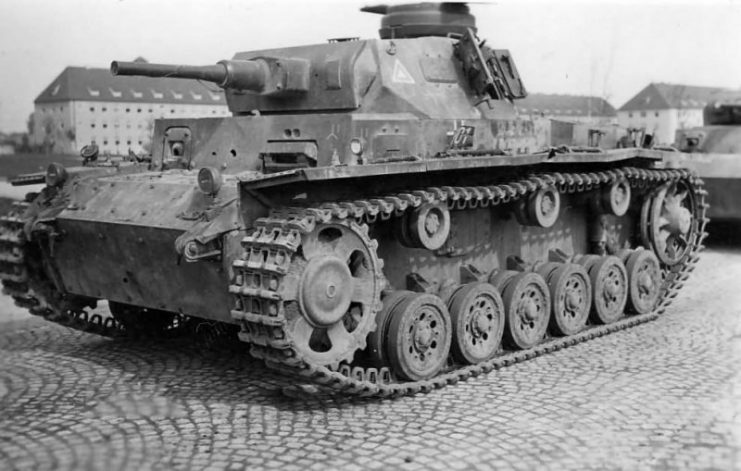 In addition, modifications A-G were equipped with 3 MG 29 machine guns, while the G-M versions had only 2 MG 34 machine guns. 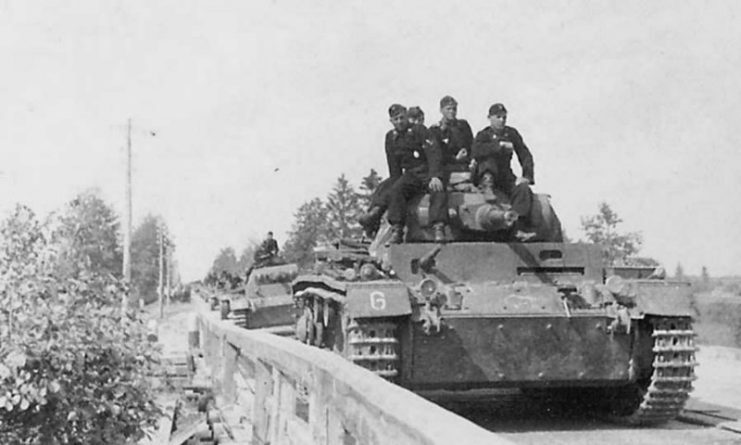 From 1940 to 1942, Pz.III tanks were the mainstay of the German tank divisions. 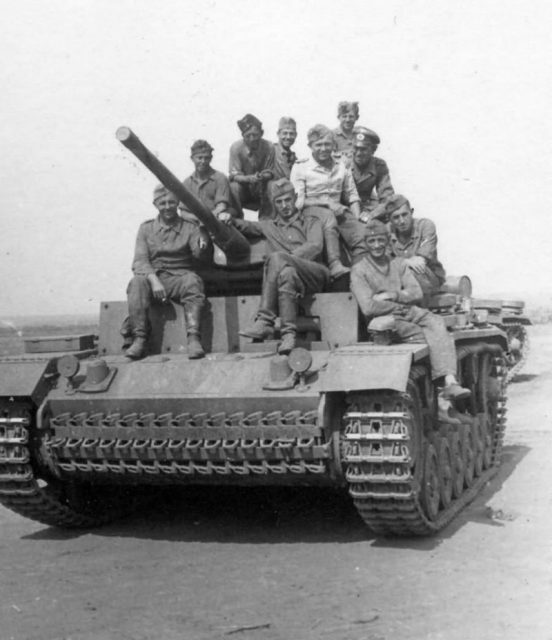 Due to their inferior armor and armament, they were used as special vehicles after 1943. 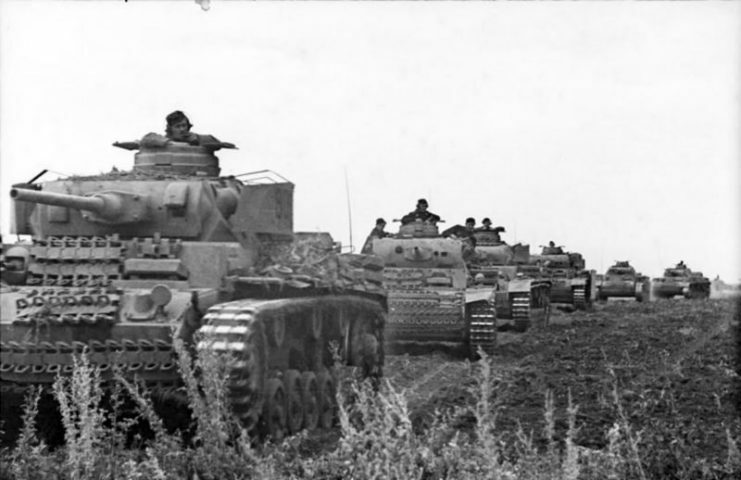 In total, during the production period from 1938 to 1943, 5,691 Pz.III tanks of various modifications were produced. 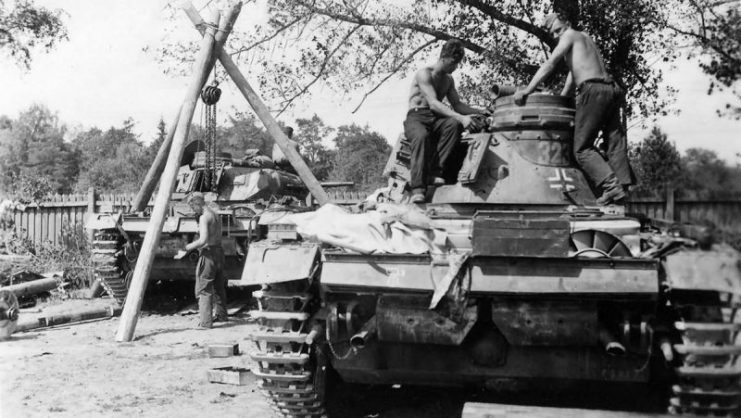 At the end of the summer of 1940, 168 tanks of modifications F-H were redesigned to operate when submerged. 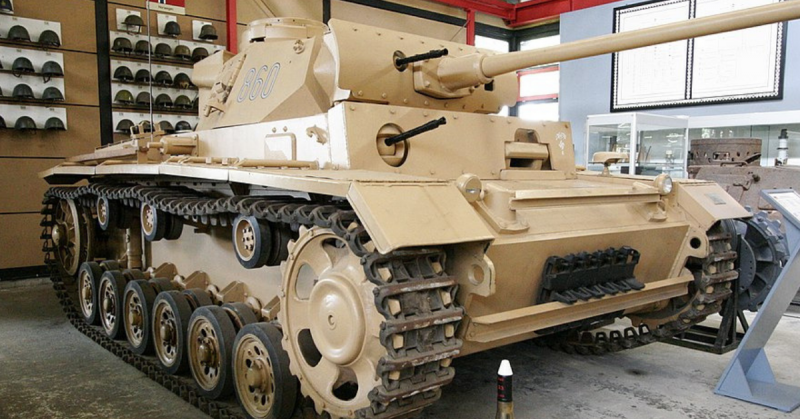 In addition, based on the Pz.III, self-propelled artillery was created for various purposes. 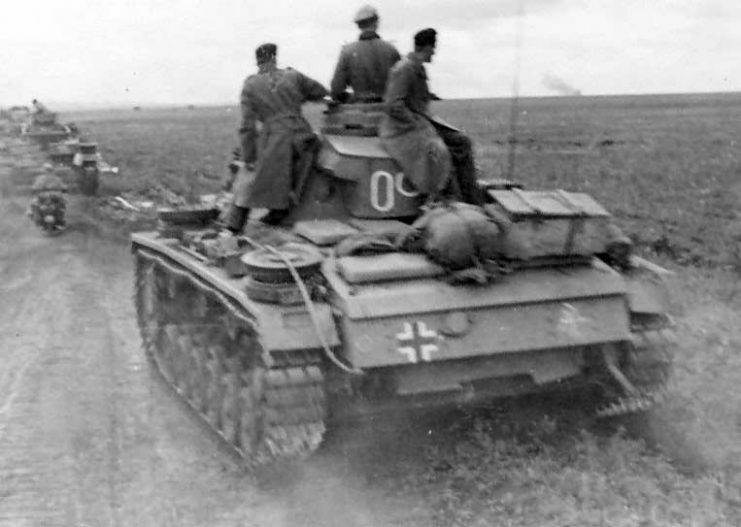 The Pz.III tank took part in hostilities against Poland, France, North Africa, the USSR, and in other conflicts during the war. 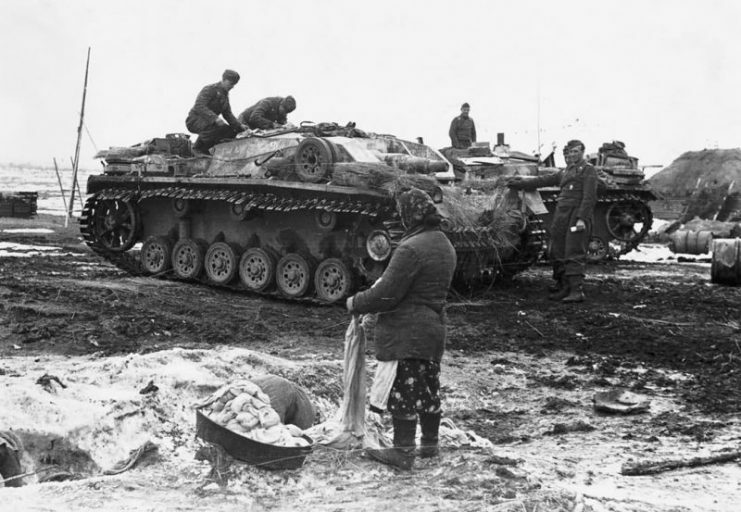 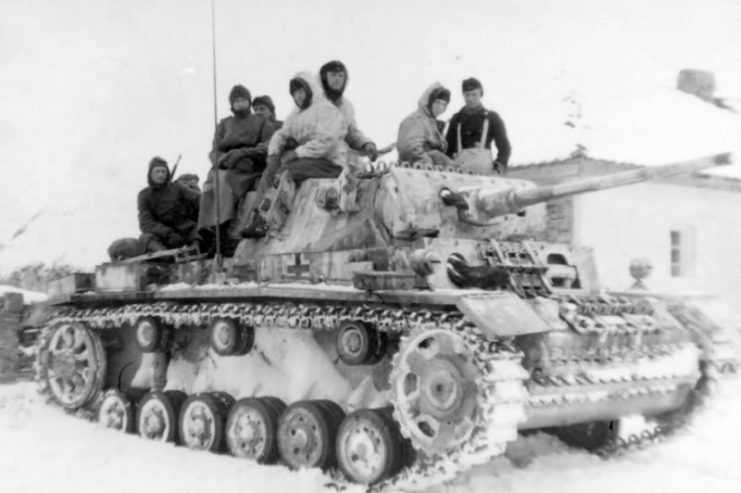 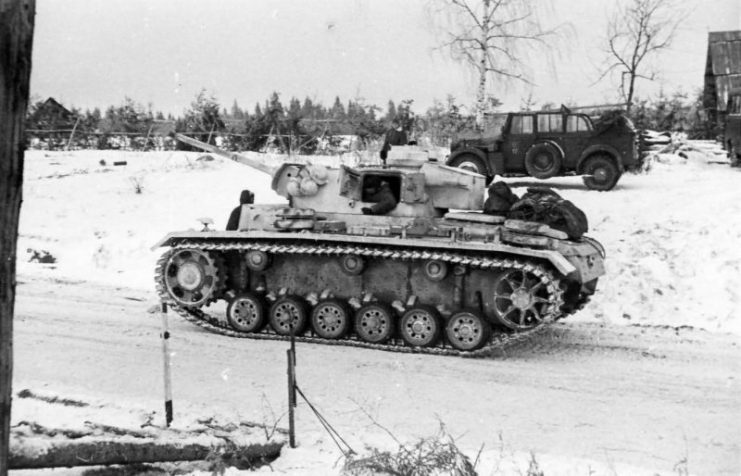 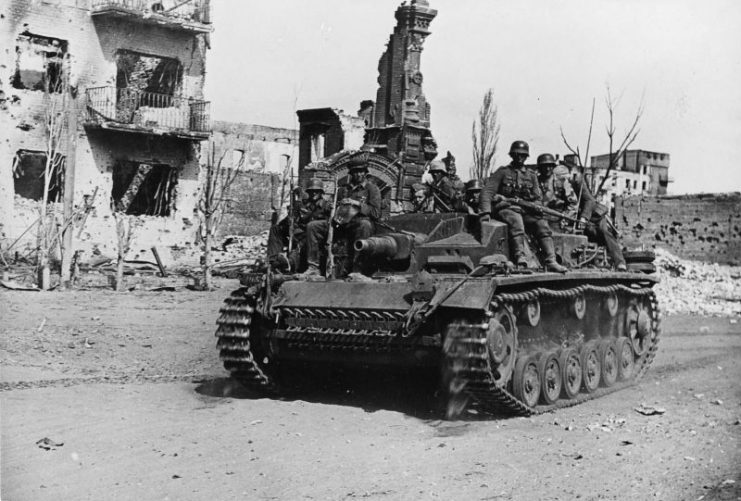 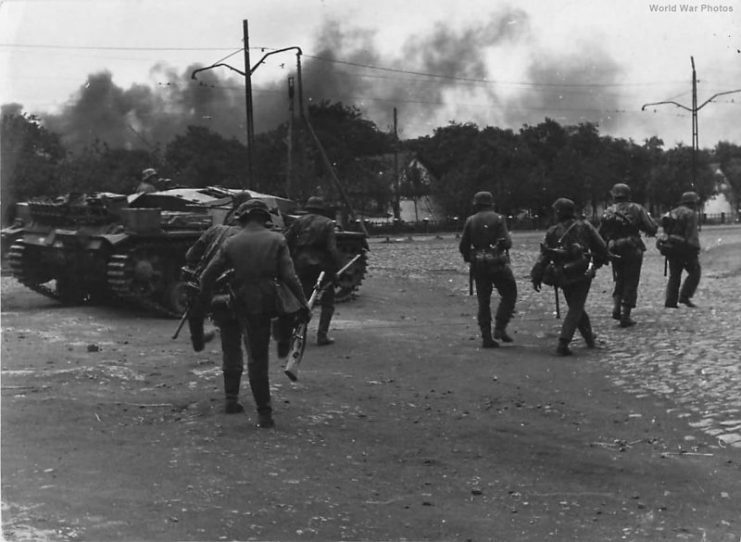 Germany also supplied Pz.IIIs to other Axis armies, and the Red Army and Allies used some captured Pz.IIIs.